The bold color palate of this modern-styled chawan seems inspired by the deserts of the southwest. 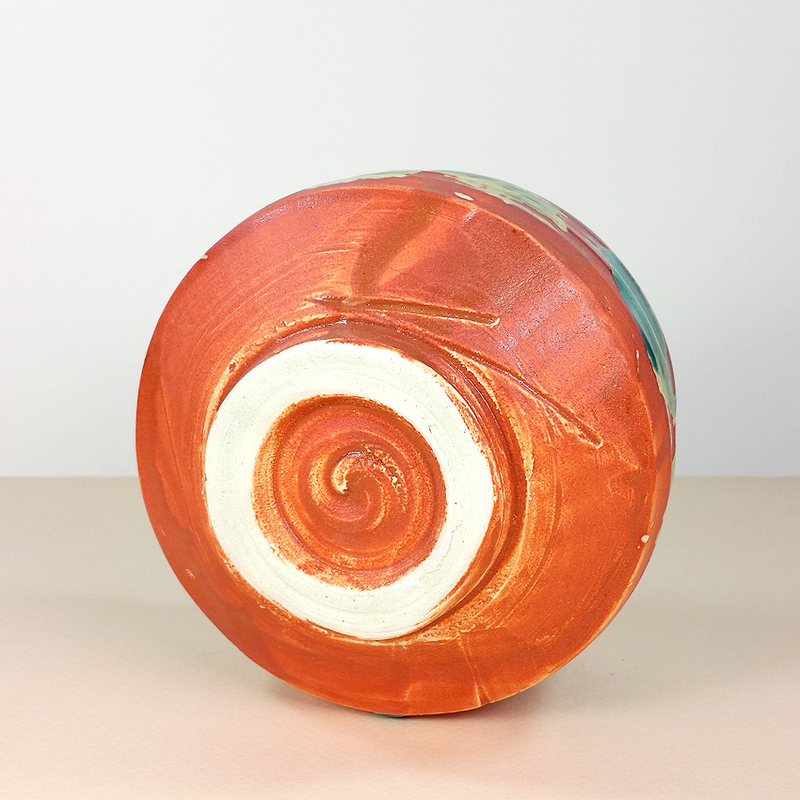 The rich reddish-orange-colored semi-gloss glaze evokes visions of a rain-soaked, deep-red sandstone found in Arizona, while the glossy blue glaze is reminiscent of the turquoise mineral deposits found across the American southwest. 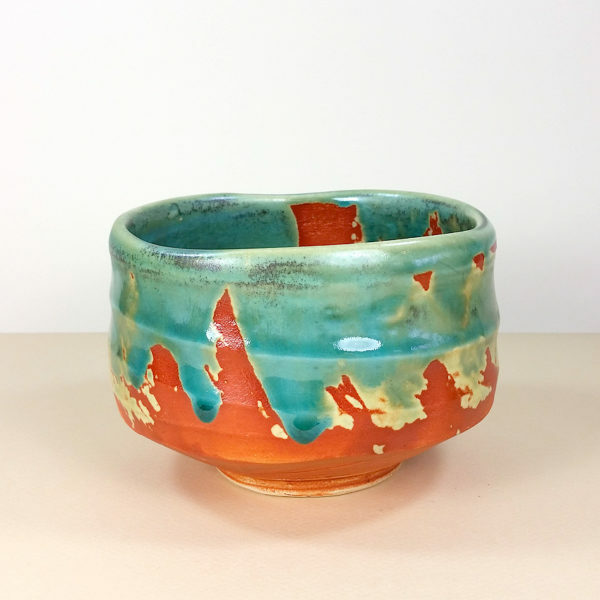 With its ridges and slight texture, the bowls exterior mirrors the layers found in sedimentary rock. 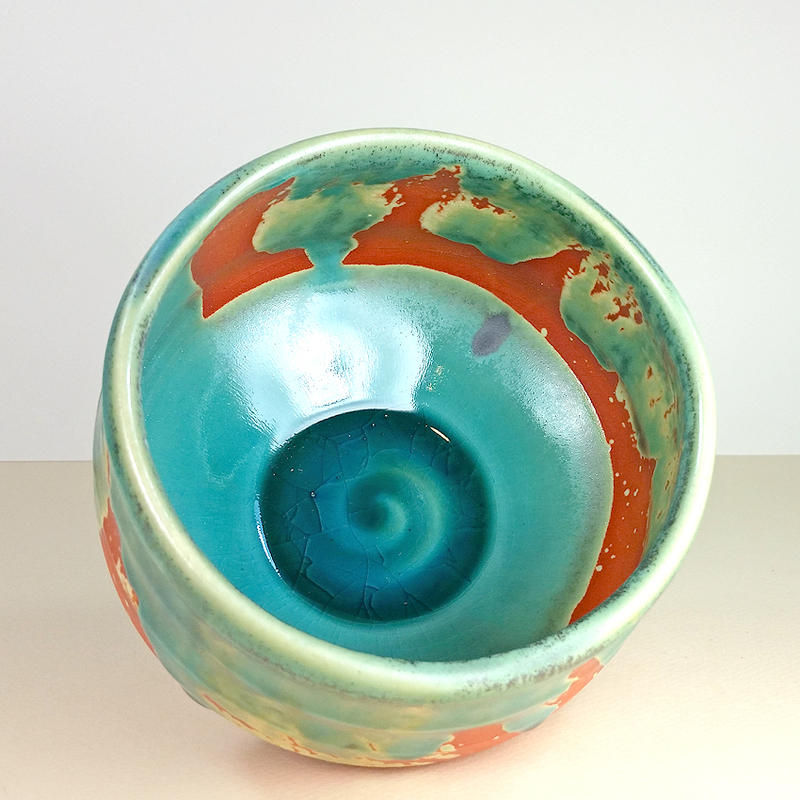 Inside, there is gorgeous pooling of turquoise blue glaze which perfectly highlights the swirl pattern of the clay. 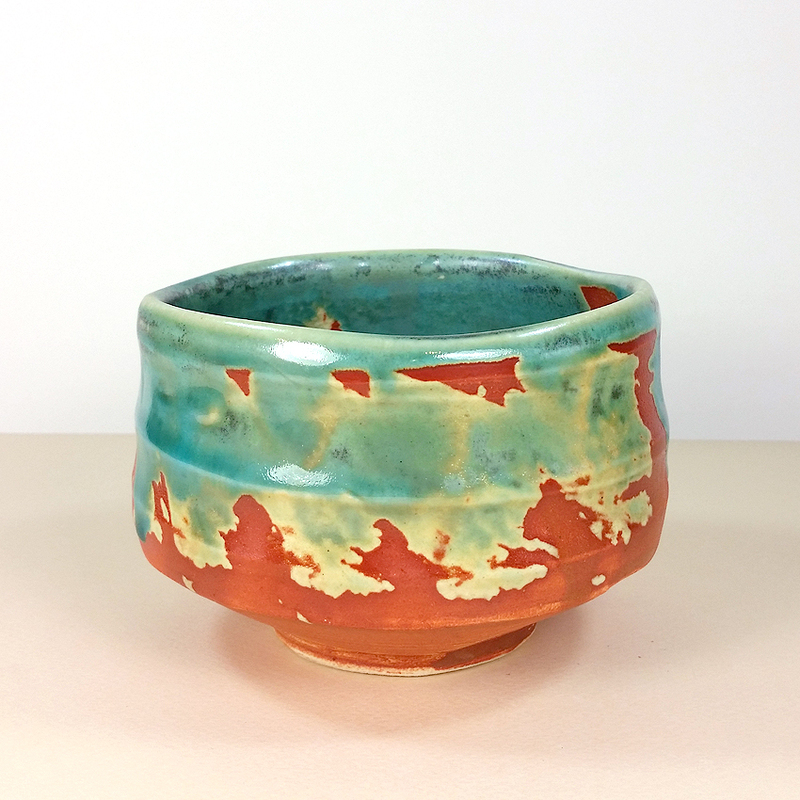 This chawan looks stunning when the deep green of the matcha contrasts with the lighter shades of its froth and both flow up to meet the interior coloration of the pottery.